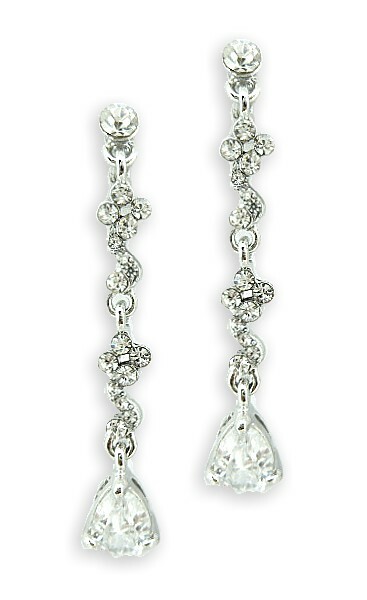 First class, fabulous quality, single-strand dangler with screw-backs. Starting at the top with a dazzling solitaire the trail descends with a series of swirls and flowers and ends with a shimmering crystal clear teardrop, which has been cut to perfection so that light makes every facet sparkle. Perfect for proms, parties, nights out and to make you feel "special" any day. Size: 5.5cm (2¼").